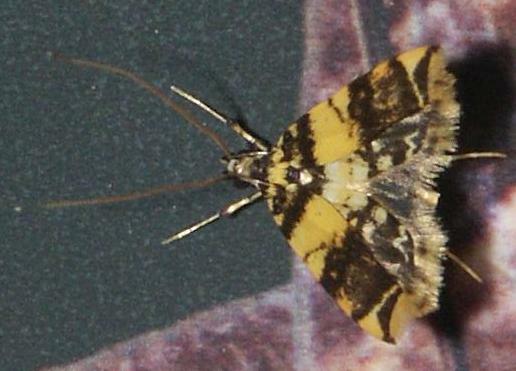 The adult moths of this species have brown wings with a complex pattern, including a submarginal pale yellow band on each wing. The wingspan is about 1.5 cms. Volume 31, Part 10 (1919), pp. 151-152.